In the world of childbirth education, there are many methods. A method approach to childbirth education usually gives a student a coping tool or technique that will ensure a certain outcome. For example, the birthing mother will practice a specific type of breathing throughout her pregnancy. When she goes into labor to have her baby, she is instructed to employ this breathing technique. If she does it right, the method dictates that she will have the desired birth that she planned for. However, if she doesn’t do things right, there is no telling how the birth will go. 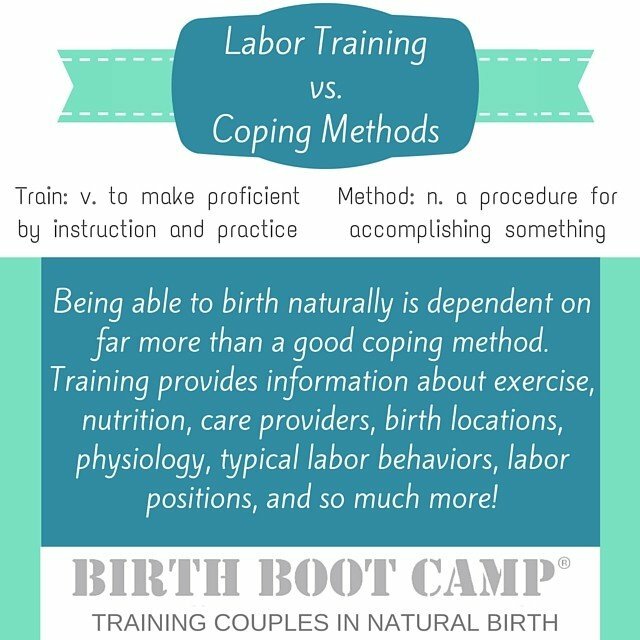 Birth Boot Camp is not a method. Our students come to us because they desire a natural birth as a couple. Massage during pregnancy and labor can be a powerful tool for relaxation. Our childbirth class curriculum is 10 weeks long. Some may ask, why 10 weeks?! That’s a long time. It is a long time. You wouldn’t need 10 weeks if every woman was able to have a great birth by simply visualizing a beach and practicing that over and over again or learning one position to use for relaxation. We could teach a one night class, take your money, and move on. We don’t take this approach because it leaves too many couples without the tools to handle their unique labor and birth. We recognize that every woman and every couple is different and will need different tools in their tool box. Here is a sample of some of the things that our couples learn in their class that make up their full toolbox of natural birth techniques that they might employ at their birth. For some women, being left to go inward and focus is most helpful in labor. For other women, constant affirmations and support from a hands-on partner or doula is absolutely necessary and appreciated. All of this adds up to dozens and dozens of tools for each birthing couple to employ. They each have different needs, wants, personalities, and desires for their birth. What works for one woman may not work for another. They can even vary from birth to birth for the same woman. No matter who you are, no matter what you need, you will find helpful tools for your birth in our childbirth classes. We are also realists. We know that sometimes all the preparation in the world will not yield the birth desire. We also strive to prepare couples for the unexpected situations that sometimes happen, even with the best laid birth plans. Chiropractic care can be pivotal in helping women have an amazing birth. We get it. We also know that no woman, nor partner, has â€œfailedâ€ in this situation due to lack of following a â€œmethod.â€ Birth is real and raw and sometimes uncontrollable. Our couples know this and they will never be blamed or shamed for needing additional interventions in birth. We hope that their childbirth class doesn’t just prepare them for an amazing natural birth, but prepares them to handle their birth if it doesn’t turn out as they planned. Birth Boot Camp is not a method. 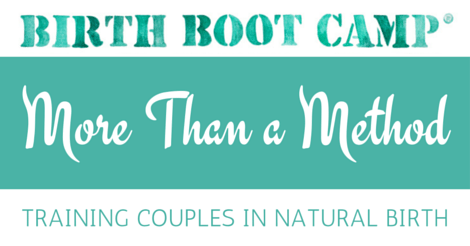 Birth Boot Camp is a useful box of tools that you can choose from to have your own unique and amazing birth. Birth Boot Camp is training for an amazing birth. You CAN have an amazing birth- and you will do it in your own way!